Meet the TSPA Dream Team! Lior is the Academy Director of TSPA. He carefully plans the hiring of the TSPA Dream Team, is passionately involved in the marketing and is the liaison with the city / board of directors while planning new advertising and marketing strategies, creating partnerships with local businesses and crafting theme days, special events and much more. Lior's education stems with an undergraduate degree specialized in psychology. He then pursued his graduate studies with a sports administration diploma from the John Molson School of Business. His thirst for knowledge led him to apply and successfully complete a Masters in Physical Education with an emphasis in sports psychology. This degree trains students to build sports psychology programs with elite and high performance athletes so that they may create, recreate and maintain flow in their sport. Founded in 2003, Lior is also the president and owner of Flow in Sports. The site is designed and dedicated to help athletes, students and individuals create, recreate and maintain flow or reach peak performance in their lives. 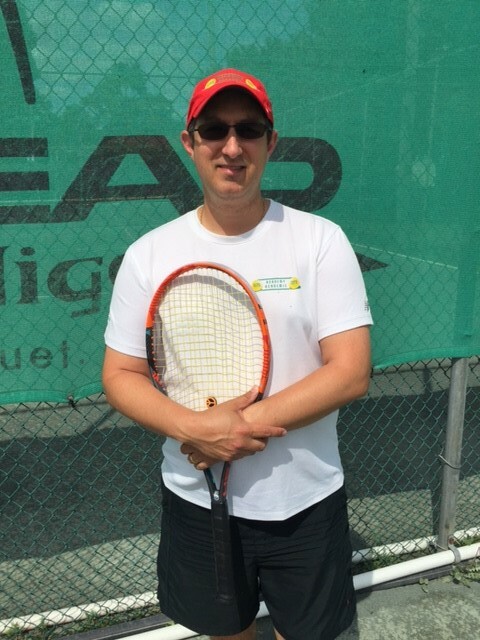 Coach Lior Doron has earned certification in the sports of tennis as an instructor, hockey as a referee and coach (intermediate level), baseball as an umpire and was a qualified rock climbing instructor. He also also taught and coached volleyball and basketball. Lior has taught mainly in the high school system for almost eighteen years. Lior is strictly against an all work and no fun lifestyle. Many a times, he broke free in the summer and worked in camps namely as a counselor, volleyball instructor and a land sport supervisor. Working up the food chain, he worked for international companies such as Club Med as a tennis G.O. during three different seasonal contacts. He lived in Punta Cana in the Dominican Republic and Paradise Island in the Bahamas. Other contracts included working for Royal Caribbean International aboard seven different world class cruises as a junior cruise animator. This gave Lior the opportunity to travel aboard one of the world's largest cruise ships. Sailing literally all over the world allowed Lior to explore a variety of landmarks while being sensitized to the vast cultural and ethnic diversities that exist among us. Victor's hobbies include bowling (he plays in a league when it is not the summertime), making movies, making computer programs and websites, and watching various sports on TV. He is pretty good at both tennis and bowling, and is also very smart. As far as his computer skills are concerned, he has made apps in Java that simulate popular game shows and that predict the results of his favorite sports teams' games. As a result, Victor identified himself as a proponent of having mental toughness and intelligence both on and off the courts. Victor is also a skilled Connect 4 player. As a result, Victor instituted a new camp policy: any camper who defeated him in a game of Connect 4 earned a coupon. Victor always made the first move as a way to better increase his chances of winning. In late January 2017, Victor was promoted to the Assistant Academy Director position of TSPA. Victor now holds some executive decisions as to what types of outings TSPA can go on. Victor speaks English, French and Spanish. Fun fact: Although Victor most applied a new grip to his racket for the 2015 season which makes his racket look brand new, Victor's racket was purchased in 2002. It was a gift to him from his father, who played tennis often during the summertime when Victor was a lad. Dominic is the camp director in Côte Saint Luc. He is also the soccer coach who was also the president of the Pierrefonds Soccer Association from 1996 to 1999. He currently coaches Laurier Senior High School as well as in the Dollard Soccer Association. He is fluent in English, French and Italian. Michael is a tennis instructor for more than 30 years teaching a plethora of privates, in clubs, camps and as a credit at the university level. 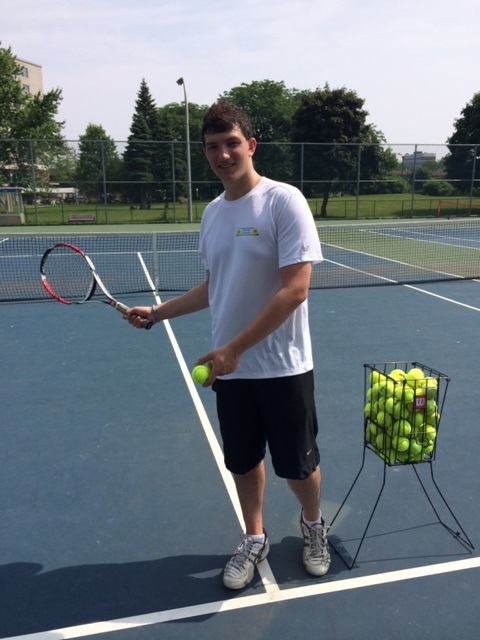 He is also the camp director at our Côte Saint-Luc Tennis Club location (TennisMax). Many times a single quarter-finalist and double semi-finalist in his motherland of Lebanon, he was the head of Lebanese university tennis teams to international Universiads tournaments. He is a member of the Quebec and Lebanese Tennis Federation. 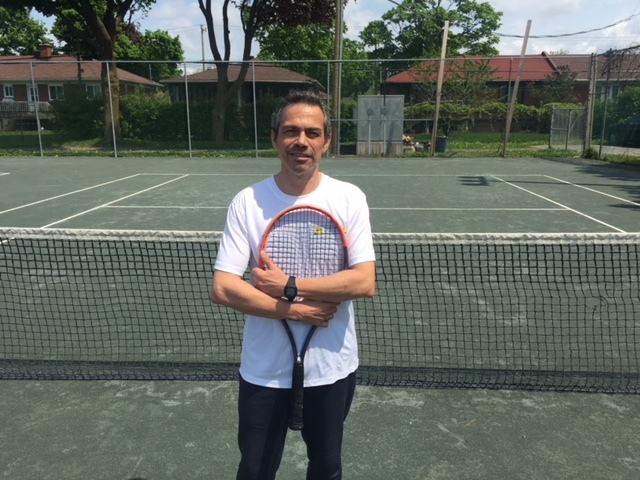 Herman is a level 1 tennis trainer and coach certified by Tennis Canada, a member of the Association of Tennis Professionals (ATP), and member of the Canadian Association of Trainers. He has over 20 years of experience as a player and high-level coach of his home country, the Ivory Coast (West Africa). He teaches all the time at Uniprix Stadium and in parks for a few years in Montreal. 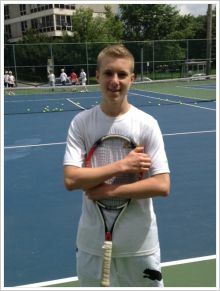 He always practices at Uniprix Stadium with some players ranked in Canada and internationally. · From 1985 to 1988 he was Minimal Champion and Cadet of the Ivory Coast. · From 1988 to 1996 he was a player on the Ivory Coast national team. · In 1994 he was a licensed player and was ranked 15/1 by the French Tennis Federation in Paris. · In 1995 he was a league player of the Tennis Club Chambon sur Lignon, in the Ligue D'Auvergne in France. · From 1986 to 1996, he was an affiliated player of the French Tennis Federation. · From 1992 to 1995, he was an intern at the Sophia Antipolis Tennis Centre in Nice, France. · From 1995 to 1996, he was in Tennis Studies at the Centre de Tennis Domaine du Fraisse in France, where he trained, prepared and perfectioned himself for competitions on the French national circuit and international African circuit. · His best performances in the French leagues were: 1/5; 5/6; 4/6; 3/6; 2/6. He has a lot of experience with kids aged 6 to 12, children and adults. He was a trainer and coach of elite and semi-professional level at the international stage. Since 2005 up until today, he gives individual and group courses and equally has experience as a physical preparator for athletes. 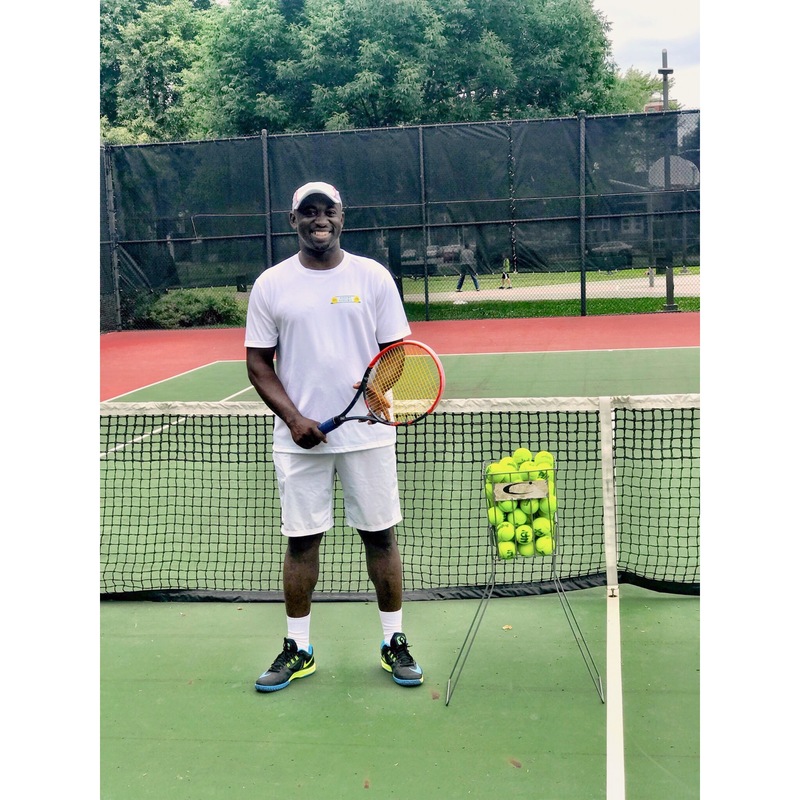 As a TSPA tennis instructor, his goal is to teach and improve basic tennis techniques for all levels (beginner, intermediate and advanced), that is to teach basic techniques like forehands, backhands, volleys and serves, and to improve on all aspects of the game of tennis like the backcourt, volley serve, etc., and to coach, prepare before, during and after competitions of all levels. He wants to animate group and individual sessions. By joining this dream team, he brings his experiences and knowledge in the domain of teaching tennis, not only as a former player, but as a coach to future students. It will be a pleasure for him to meet and work with you. Evgueni is a graduate of the Tennis Canada certification program and is a active member of the Tennis Professionals Association. With many years of experience, Evgueni can improve your ground strokes as well as offer insightful tips to improve your game. He loves all kinds of sports and is looking forward to a great season. He is fluent in English, French and Russian. Alex began going to TSPA ever since he was seven years old and had been getting great tennis lessons from Lior and his team every since. There, he had gotten a lot of great training that eventually made him fall in love with the sport. Alex, now age 17, grew up to be a very passionate worker here at TSPA. He is a graduate of the TSPA PIT program (more info) and makes a great hitting partner. Alex truly is, inside and out, part of the TSPA dream team. 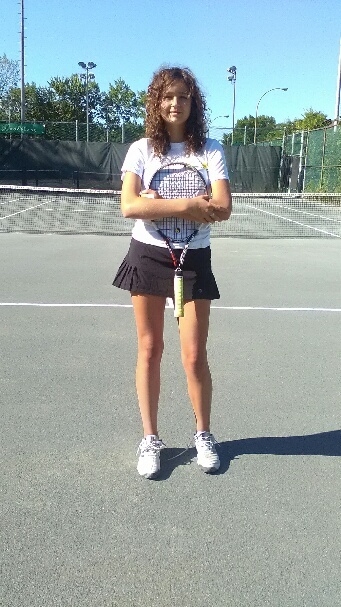 Passionate about tennis, combative on the court, and talented as a player, Alex makes a great instructor. Sergio is from Italy (Rome) and has been in Montreal for four years. In Italy, he lived next to a tennis club, therefore he always played since he was 10. After a period of inactivity, he rediscovered his passion for this wonderful sport here and got his certification to be an instructor. 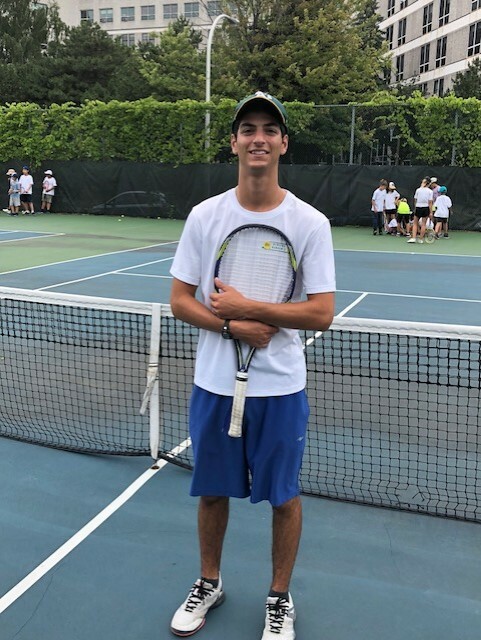 During his first season with TSPA, he aims to improve his organizational skills in teaching tennis, and to enthusiastically and efficiently work together with his team so that this season is an unforgettable one for him and for all of the campers. 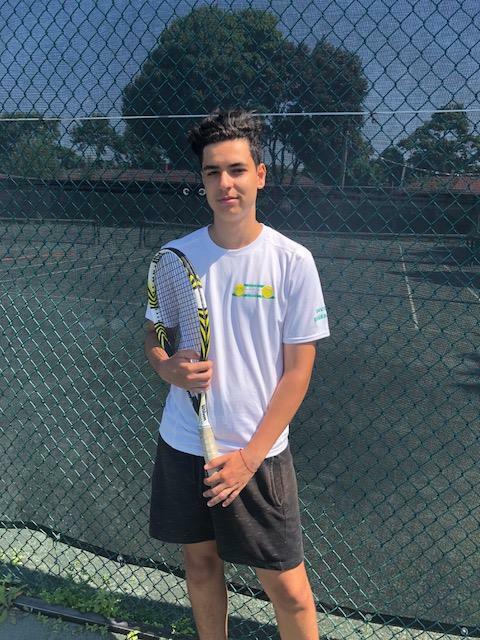 Mitchell is a tennis pro at TSPA and started in July 2018. He is a passionate tennis instructor and started coaching since 2015. 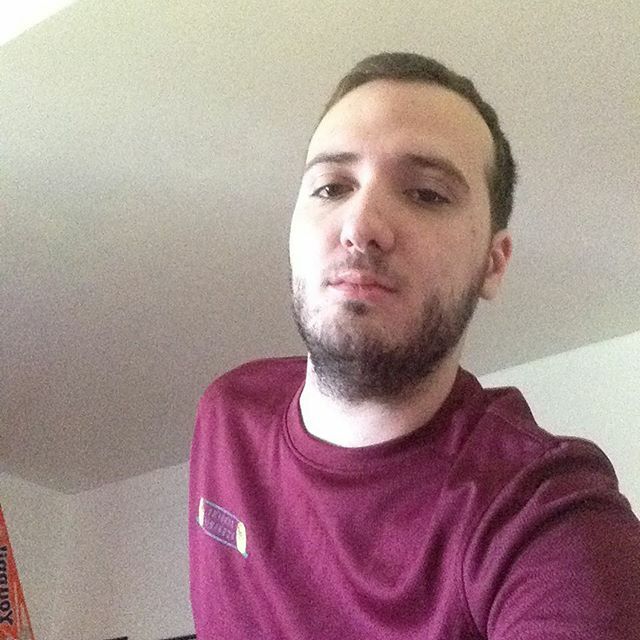 He specializes in private instruction and has a great attention to detail with shot form and technique. He is able to coach athletes of all levels and ages. He looks forward to seeing you on the tennis courts! Michael Naiman is one of our founding camp members who has been with us ever since the beginning of TSPA in 2002 and even before. He brings a wealth of experience and surely you or your child will benefit from a tennis lesson if you hire Michael for a private lesson. Jonathan loves tennis. He looks forward to teaching tennis and entertaining the campers. Apart from tennis, he enjoys hockey, baseball and animals. Aglaya is from Russia and she has been living in Montreal since 2001. She has been playing tennis since 2004 including competitive tennis, and has been coaching since 2015. She has obtained her instructor certification with the Canadian tennis federation. As a coach, Aglaya already had experience in private and group lessons at various tennis clubs, such as Mount Royal Tennis Club, Tennis NDG and some Montreal tennis camps. She is as amazing with young kids, as with teens and adults. Aglaya speaks English, French, Russian and Spanish. She is generally available in the afternoon on the weekdays and the weekends. She will be very glad to coach you and take your tennis skills to the new level! Lara Pomerleau-Fontaine is 22 years old and is originally from Magog. 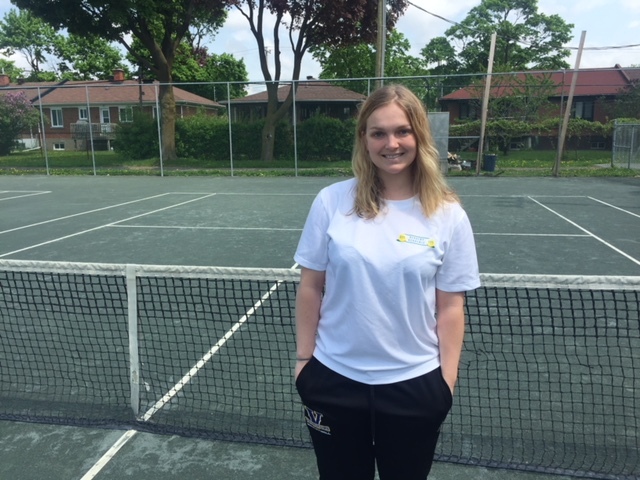 She is a student at Laurentian University in Sudbury, Ontario, who has the chance to do an internship in sport psychology under the supervision of Lior Doron. This internship is an opportunity for her to discover more of her area of study, extend her knowledge as well as applying sport psychology skills. Thus, she will be attending the sport psychology sessions with her instructor during the nine weeks of the tennis camp. On another note, she is a basketball player. She plays at the university level and she is totally in love with this sport. Thus, she is convinced that what she learns in her internship will be applicable for both her sport and her future career.